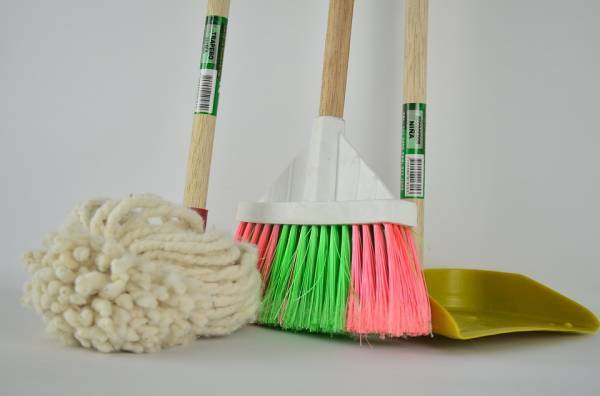 We often get asked the question, what’s involved with cleaning, particularly in our general cleaning services around Birmingham and the Midlands. Without getting too technical and looking at separate carpet or say window cleaning services, what does a good old general clean entail? On one level it might be just a case of knowing what practically to clean, for example vacuum the carpet and dusting surfaces. On another level though, it’s knowing the whole cleaning experience, from what material and substances to use, or how to safely implement. This is certainly true on a more business level, but even when cleaning your own home these are important factors to get right. So begin with understanding what you need to actually do to complete the cleaning, as you’ll more than likely need to collect all these things together before you even lift a finger to wipe a surface. One aspect is the right cleaning substances, and whether you’re going to add any substances to water, bleach to say toilets, and spray on surfaces. Check you have the right quantity as well as quality of substances. Another is then the best equipment to use, whether a fancy microfibre cloth and mop say, or the best buckets and carrying equipment. This can also extend to things like cleaning signs and storage cupboards. Finally look at Personal Protective Equipment, otherwise known as PPE, which boils down to what clothing you need to have to be safe from harm. In addition to obvious items like gloves and aprons, think of special items like glasses for dangerous areas or hair-ties for long hair. Okay, time to get cracking on what needs doing, ideally in a form of a Cleaning Schedule or Checklist. Not only will this list what actual tasks need doing, but when they need doing first and on an ongoing basis. Then make them look great and easily understood, easily accessible and updated, and applicable for every room and cleaning task. Finally think through how this will all be done, one area being Health & Safety compliance. Although this can appear daunting, so long as you have a clear plan-of-action with a COSHH policy and Risk Assessment of issues, then you’re well on your way. In addition, keep an eye on the practical things as well, such as what hours to work, access arrangements, and even how to remove and deal with rubbish. So first begin with seeing what you need to have in order to do the cleaning, from the right PPE clothing to the best cleaning products. Then consider what you actually need to clean, down to as much common-sense detail as possible. Finally end up thinking through how you will then practically do this, from practical pointers to important Health & Safety concerns. Before long you will have a clear steer on how to get cleaning done real simple and effectively.